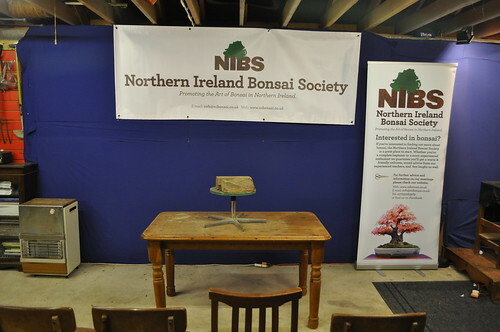 With the Bonsai School fast approaching next weekend a few of us got together today to clear out the garage in preparation for the hordes arriving. 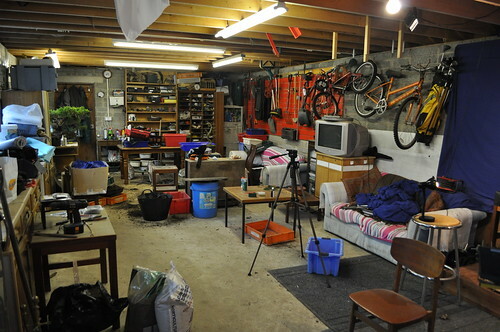 and after clearing. 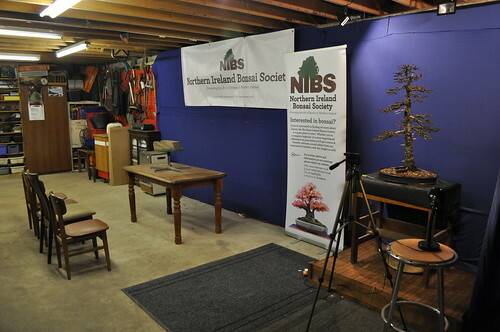 We threw up some cloth to provide an uncluttered back drop. With around 20 people signed up for the day, we’ll need a few more chairs.